Some games don't sell all that well on the Wii and DS, but Nintendo boss Satoru Iwata doesn't think pirates are to blame. When a game doesn't sell well, these days it seems like two very familiar scapegoats get trotted out time and time again: Poor sales are often blamed on either widespread piracy or the used-game market. 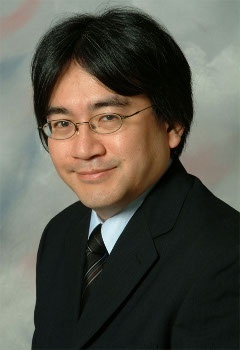 Nintendo CEO Satoru Iwata, however, doesn't agree. In an investor call, the Nintendo boss said that a quality game would beat out piracy every single time. "I do not think we should attribute bad software sales solely to piracy," said Iwata, almost certainly referring to the lackluster performance of third-party titles on the Wii and DS. "Even with piracy, as long as we can create products which can attract attention from many consumers and which can greatly entertain them, that software can make it to the number one position of the hit software sales chart." "So, we would like to consider it from both perspectives simultaneously. It is true there is always the influence of piracy, but it is important for us to increase the number of our consumers who are willing to shell out their money to purchase our products." In other words: Yes, piracy is a problem, but an excellent game will win over customers willing to plunk down their cash. Given the popularity of Pokemon Black & White in Japan - on the notoriously piracy-vulnerable DS, no less - it's not hard to see his point. Not that it stopped more than a million people from downloading New Super Mario Bros. Wii last year, but it still sold like hotcakes. This isn't to say that Iwata doesn't think Nintendo shouldn't do a thing about piracy, especially with its upcoming 3DS handheld. "Of course, as a responsibility of the platform holder, we will tackle piracy. For example, when we launch new hardware, such as Nintendo 3DS, it is a good opportunity to beef up the countermeasures, and we are actually working on that now." From what we know, he means it, too. Not that it won't be cracked within months at the latest, but eh, at least it's worth a try, right?